The Yothu Yindi Foundation is pleased to announce that registrations are now open for guests wishing to attend Garma 2016 in northeast Arnhem Land. Tickets are available through the garma.com.au website. 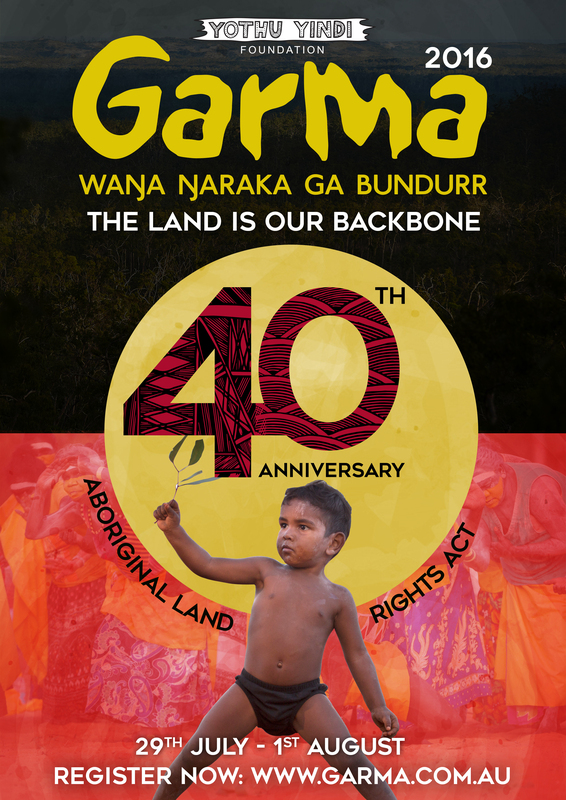 YYF CEO Denise Bowden said the 18th annual Garma would be a special event, marking the 40th anniversary of the Aboriginal Land Rights Act (1976). "The Yolngu are immensely proud of the pioneering role they played in the birth of the land rights movement in Australia,"Mrs Bowden said. "But it's been a long journey along the way, and we'd like to see more Indigenous communities not just surviving, but thriving through economic development measures linked to land ownership." Garma 2016 will take place from 29 July - 1 August 2016, at the Gulkula ceremonial grounds in the heart of Yolngu country. "Garma is an adventure of a lifetime, a chance to explore a side of Australia that few people see, or really understand properly." "We continue to push the boundaries with our hard-hitting Key Forum conference, but the real magic of Garma is in the celebration of Yolngu cultural traditions, which have sustained the clans of northeast Arnhem Land for tens of thousands of years, and remain strong to this very day."